There has been a lot of controversy about the word MMM. MMM is an acronym which means Mavrodi Mondial Movement. It is not just a word but a community of people who render help and receive help. I know a lot of people are into it, and a lot of people see it as a scamming platform. But one thing you must understand is that you make your own decision, you take your own risk and you are responsible for the resultant effects of the risk you take. I know MMM has blessed lives, put food on some peoples table at the same time make some others 30 days Millionaire. 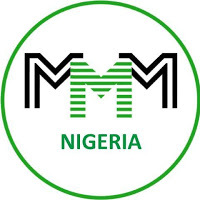 Note: MMM is not a bank, MMM does not collect your money, MMM is not an online business, HYIP, investment or MLM program. MMM is a community where people help each other. MMM gives you a technical platform which helps millions of participants worldwide to connect those who NEED help to those who are ready to PROVIDE help, for FREE. All transferred funds to another participant are your help given by your own good will to another one, absolutely gratis. Even some times last months, The Nigerian Security Exchange Commission warns that Nigerians should distant away from MMM because it lacks accurate model Model to operate. Now lets be sincere with ourselves, is MMM actually a scam? How much have you been scammed by MMM?